The rustic charm of India has since long cast its spell over many. While most come back to explore, travel the rest of their the country, there are few who are so mesmerised by the destination that they decide to take wedding vows or renew their wedding vows in its famous palaces or beaches or backwaters. 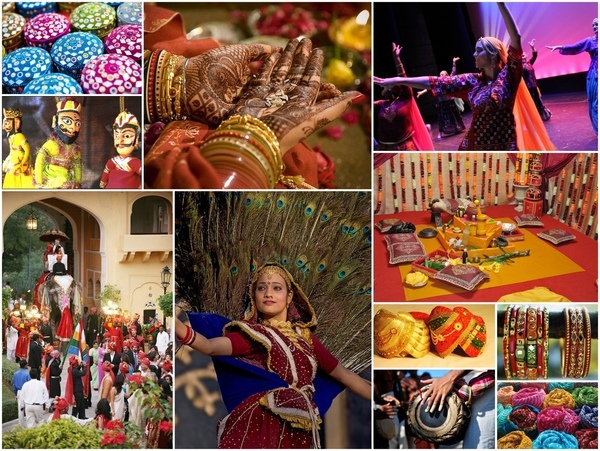 India is a country rich in heritage, culture, traditions and customs and an Indian Wedding is symbolism of all this. Weddings in India greatly differ from Western Ceremonies; they have rich vibrant colours, and the number of ceremonies spread across 2-5 days of which some are held in the morning and some at night. A destination wedding in India is a magical experience for the couples who want to start their life together with an exciting journey in this amazing country. The interest in India as a wedding destination has greatly grown in recent years. These days, not only do people of Indian origin want to get married in spectacular venues all across the country, foreigners do as well. India’s forts and royal palaces which offer opulent luxury has made it popular with many of the world’s biggest stars. Recently, India has hosted a few international weddings which have given a distinct image to the country which is now perceived to be luxurious and exotic in this facet of travel tourism. Everything you need for a beautiful wedding full of colours, you’ll find in India from beautiful printed invitations, Designer Lehengas or Silk Sarees, exotic and Indian florals, and an abundance of unique venue locations ranging from historical palaces in Rajasthan to pristine beaches in Goa to serene backwaters in Kerala or in the lap of might Himalayas. India’s got it all! Whether you opt for a royal wedding and marry like a princess or a relaxed and fun beach wedding, it's up to you to choose. One thing is imperative though; make sure you have a good and an experienced destination wedding planner to organize the event. Their help will be invaluable. We will come back with more logistics details and various venue options in coming days. ~ Sunaina Sharma is a destination wedding planner for India based in New Delhi. She is the co-founder of Memorable Indian Weddings, a destination wedding planning company famous for personalizing every element of the wedding as per couple’s requirement. India is SUCH a stunning land and has an incredible wealth of culture. I loved visiting there and have included those inspirations in many of my designs. Great article!